TagnabbitTM is a completely unique patent pending tag ring, designed to make it easy to add or remove tags as well as switch tags from collar to collar. Made of two durable nickel rings attached by a swivel, the tags don't get tangled. Made of chrome plated zinc. 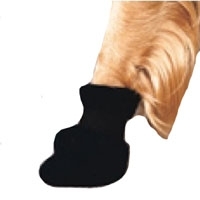 Durable, water proof, nylon boots have non-skid nubuk soles, knit rib trim, reflective tape and are fleece lined for warmth. Adjustable Velcro strap for a secure fit. 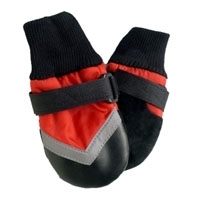 Soft fleece boots secure with Velcro straps and have non-skid PVC soles. 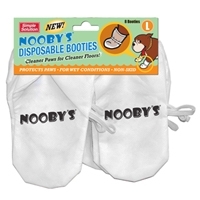 Disposable booties- each package contains 8 booties with non skid grippers. 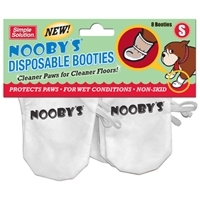 Protects paws and keeps floors clean. Great for wet weather.